ibs Multilanguage is a Solution that allows the translation of all the Soft Solutions applications into any language or to the same language but using the company business terms. 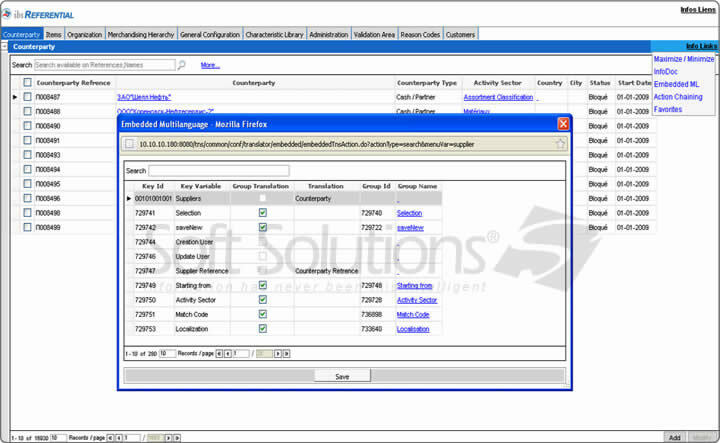 Soft Solutions' ibs Multilanguage translate any keyword in the Soft Solutions' Suite through two ways: either manually in the application, or massively thanks to an export procedure to work on spreadsheets. We will here detail the manual translation in ibs Multilanguage application, which consists in translating any application keyword, report or Business model object. Some object values are also translatable; especially whenever the same product has different names in the different countries the company is implemented. Ex: We have a retailer implemented in Russia and in Poland; the same product has different names in each country, especially because they are not using the same alphabet. There, we need to differentiate the objects and their values. 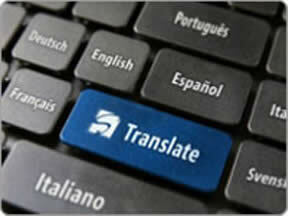 The objects are basically a keyword and such as the other keywords, they will be translated in ibs Multilanguage. 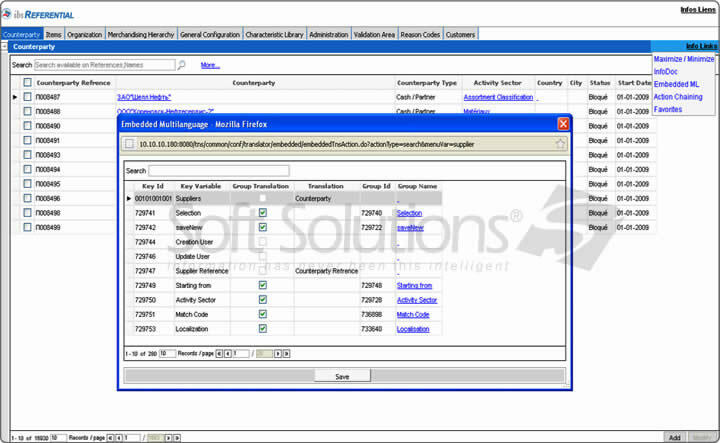 The object values are translated in the Business application thanks to an embedded Multilanguage service, in the ibs Referential screens. Whenever the user will connect to the application, ibs System will map this user with its preferred language and display all the information in this language. If the user (especially an administrator) needs to change the language to have the same vision than another user of Soft Solutions' Suite, he may do it from his Dashboard page. Then, all the application he will enter will be displayed in the selected language. To note that if for a reason an administrator wants to change a keyword in any menu, he may use the embedded ML service, which avoids the administrator to open ibs Multilanguage, but permits to translate any keyword present on the displayed page in a generated pop up. ibs Multilanguage permits also to translate the reports generated by ibs Reporting and the Business Model. 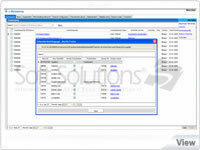 Then, even the reports, which are not created by Soft Solutions' teams but by the customer himself will be translatable. Each company branch is able to consult its KPI with its business names in its language. 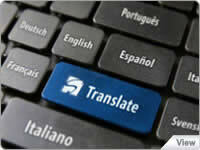 The report and Business Model translations services are in the ibs Multilanguage Solution. To translate a report, the user will have previously identified in ibs Reporting, the words that will be handled by the ibs Multilanguage. The user selects the report or the Business Areas he needs to work on and then translate the different keywords in any identified language in ibs Referential.